On Monday, we asked you all to send in questions for Volume 8 of the Droid Life Q&A Sessions. As always, we received some fantastic questions and even went over a few on this week’s Droid Life Show. If you’re ready to see what we had to say about our thoughts for the upcoming year, where to buy a Verizon phone off contract, and when you can expect to be kicked off of your grandfathered data plan, read on. Where is the best place to buy a phone on Verizon off contract? And why would you choose that retailer? K: Not sure there is a better place than Verizon. They tend to have the best full retail prices. Best Buy and other retailers jack up their full retail prices because they only make money off of contracts. I have heard that some are able to get Best Buy to match Verizon’s prices, but haven’t tried it myself. Otherwise, try eBay. R: I’ve purchased off contract phones from Craigslist and eBay. Just keep an eye out for a good deal, make sure they have pictures, and you should be good. T: I have bought a device off of Swappa before. Was a decently pleasant experience. When the device did not meet my expectations, their staff was very good about making sure I received my money back and everyone was happy. Why has it been so hard to find official accessories for my “official” Google Android products? R: Probably because they haven’t been wild successes in the market so it hasn’t made a lot of sense for Google to pump out a ton of accessories. K: I sort of complained about this earlier this morning, but the short answer is, we don’t know. For whatever reason, Google and the companies they partner with to make accessories, never work well together. It took months before we got anything for the Galaxy Nexus, and now it has been months without anything for the Nexus 7. The Nexus 4 is supposed to have a really cool wireless charging ball, but again, we have no idea when or if it’ll ever be available. When do you guys think Verizon will kick the remaining ” grandfathered in” people off unlimited? R: Probably next year some time. They may never need to since the cost of getting a phone off contract isn’t going down any time soon. T: Hard to say. My bets would be sometime later next year or early 2014 maybe. It could be that they would wait to launch some type of new network that would entitle them to justify kicking grandfathered users off of unlimited 3G/4G data. Again, it’s hard to know what Verizon has going on. K: It’ll be tough for them to kick people off who refuse to sign a new contract. I’d assume in two years, when the last 2-year contracts were signed, they’ll have something in place. Just remember, that when that happens, you can always go elsewhere. And hopefully by then, we’ll have other carriers with 4G LTE networks on Verizon’s level. T: I’m looking forward to a new lineup of devices. I’ve been pretty impressed with 2012’s offerings and I’m excited to see what 2013 has in store. Better displays, bigger batteries, fast processors. On top of that, new Android OS! 5.0, baby! K: New Google Now features, if Google will realize that they need to do something with mobile gaming, what Motorola plans to do to make a comeback, and if HTC can survive and stop their landslide. Samsung will probably own the world still, but when smaller companies are down, they tend to scrap to try to get back in play. It could get dirty, but it’ll be fun. R: I’m hoping we’ll see some innovation in battery technology across the board (not just from Motorola) and some innovation with cameras in phones. As the year ends and 2013 begins, how would you feel if Verizon quietly dropped DROID branding anything at some point in 2013? R: I would feel fine about it. It might be a good idea to give it a rest. It’s lost a lot of its meaning over the years. Maybe it would be good to stop for a while and bring it back with a real halo device. K: The DROID brand isn’t as powerful as it once was. Look at the Galaxy S3, it’s not a DROID and it’s the hottest smartphone in the world. If the DROID brand dies, and I doubt that it will, the Android world will continue to thrive. Which Android OEM are you most excited about for 2013? 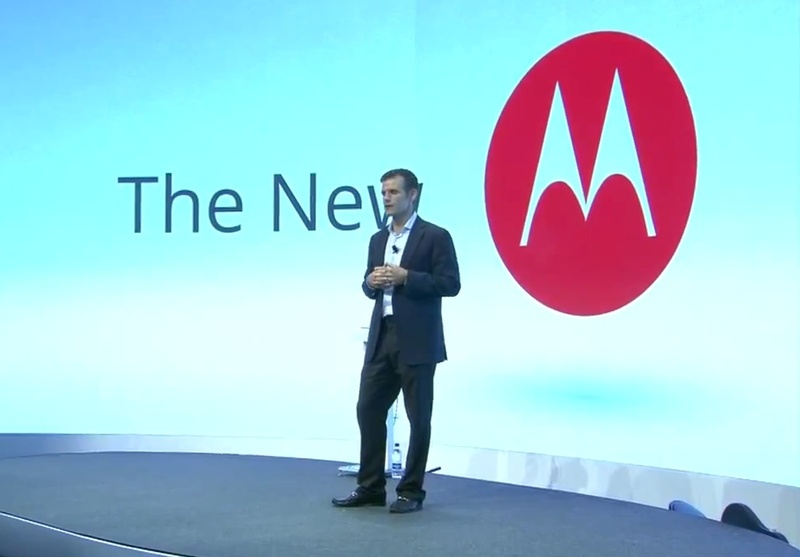 R: I’m hoping Motorola brings some Google-flavored designs out and I’m hoping HTC gets their act together. K: We sort of answered this on the DL Show the other night, but most of us are excited to see what the new Google-powered Motorola can come up with. New designs, hopefully no more kevlar, and the most open Android phones available is what I’m hoping we get. Samsung is always interesting as well, since they are the big dog on top of the smartphone world. A lot of people said the Galaxy S3 was overrated, but it’s been a massive success. T: I’m looking forward to the “new Motorola.” I hope to see more Google-inspired designs coming through in 2013! What kind of devices are your family members using? R: My brother has a Nexus S 4G, my parents use Trackphones, and my wife has an iPhone. They’re all very different people with different needs. T: My family has a good mix. There are some iPhones, Galaxy S3, DROID X, Nexus 4, and even some flip phones still! K: Most have Android phones…actually I think they all do. Couple of Galaxy S3s, original RAZR, Incredible 2, and Thunderbolt. If you were in-charge of Google+ what would you guys to do try and make it more popular? R: Right now Google+ is still a Facebook clone. What it needs is a niche feature to make it stand out. Hangouts are cool, but maybe releasing a photoshere app for iOS and Android (for those without 4.2) and holding a contest would help. At the end of the day people don’t want another social network unless it gives them something they didn’t have before or it is centered around one idea. Twitter does text, Facebook does everything, Instagram does photos, etc. Google+ doesn’t do anything that stands out. You need that when you’re a late comer. T: To me it isn’t about popularity. In fact, I can’t quite tell if that’s what Google is going for either. By weaving their services (Android devices, YouTube, Google Play, etc.) together through Google+, they’re uniting Google users on this service. Will it ever be the next Facebook or whatever? I don’t think so, but then, I don’t want it to be. K: I’m terrible with social networks and am the worst person on Earth to ask. You can find me on Instagram though!